Black leggings are great. (As a work-from-home writer with a penchant for ballet and hot vinyasa flow, I spend a good 80 percent of my week in the versatile bottom.) But retro resurgences like matching sweat sets, ’70s-style running shorts, and bike shorts have staked their claim as far as the athleisure movement is concerned. And another old-school drift is having a moment: banner bottoms. “This trend is totally a nod to my memories of the ’90s and what all the cool people on MTV wore,” says stylist, Neelo Noory, whose clients include activewear titan, Nike. Banner bottoms are synonymous with iconic streetwear brands like FILA, Champion, and Adidas (all of whom, thanks to fashion’s insatiable thirst for all things retro, are prominently back in the spotlight). The style is a sporty riff on logomania, which is going strong from luxury accessories to activewear. Insignia panels—essentially racing stripes 2.0—are running down the side of leggings, jeans, track pants, and yes, even bike shorts right now. Even luxury labels like Paco Rabanne and Fendi (which debuted a collab with FILA for its fall/winter 2018 collection) all the way to fashion-forward activewear brands like P.E Nation and The Upside have variations of the logo-lined bottoms on offer—from snap-away pants and sweats to moisture-wicking leggings and sleek joggers. 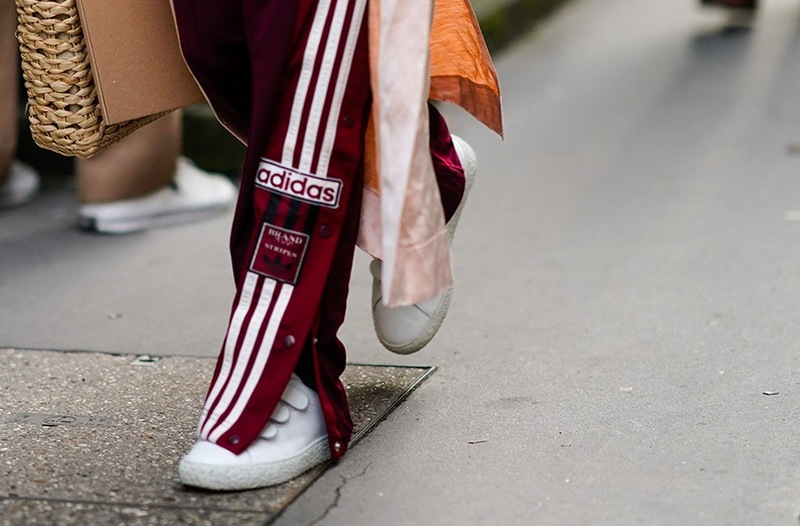 Below are 12 banner bottoms from leggings to track pants, whether you’re in the mood for ‘90s nostalgia head to toe or prefer a low-key logo look.